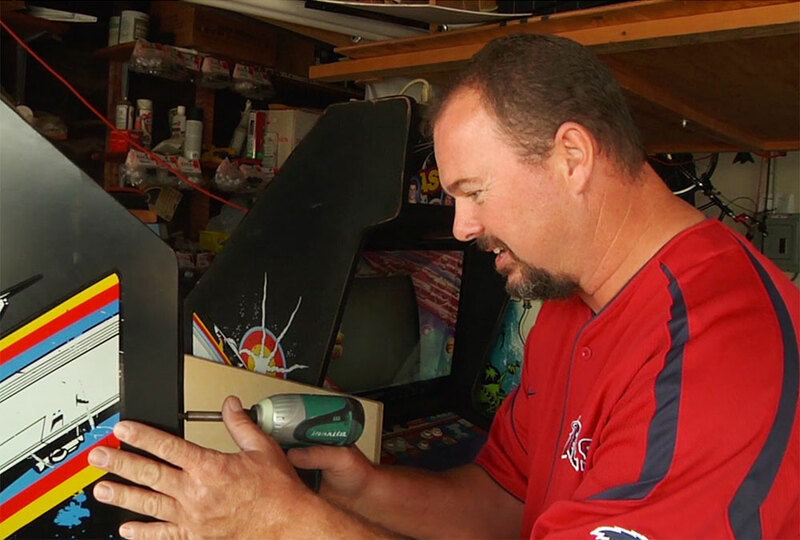 Huntington Beach, CA — Bruce Glick has recently announced his plans for public marathon sessions of Atari Asteroids, with an eye on breaking the world record. His latest achievement was a live-webcast 36-hour straight session, where he scored 18,000,000. Glick is now gearing up for a 48-hour session, which will be hosted by local restaurant and bar, MAMA’s on 39, as well as being transmitted live online. Glick owns two Asteroids machines. He’s been fine-tuning his championship machine, which has a high score save kit allowing roll-over at 10,000,000 instead of 100,000 (and obviously saving the high scores), and lightning-fast board. The current Asteroids world record of 41,838,740 was set by John McAllister in April, 2010. Until then, Scott Safran’s 1982 record of 41,336,440 was the longest-standing video game world record. Stay tuned to AtariAsteroids.net for all your information about Glick’s plans. The time and place are official! Put February 8th, 9th, and 10th, 2013 on your calendar. Start time will be 7:00 pm on Friday night, and will go for 48 hours until 7:00 pm on Sunday night. You will be able to view it live via web cast on twitchTV.com.